Symbol for Earth from Stargate symbols icon set was the most popular one. I was looking for a different variant of this symbol, but I found only the "classic" version. So.. I tried to make variants of the Stargate Earth symbol. 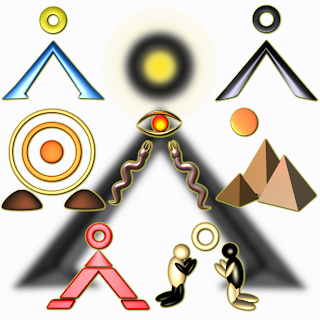 2 standard variants with different color design, a composed one (technique I learned in Alien icons set) and the rest of icons have connection to Stargate series (pyramids, goauld parasite, sun corone and two praying figures).